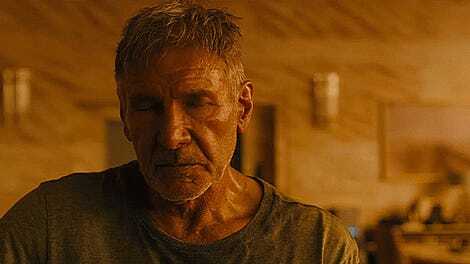 Most fans knew that there’d be important connections between this year’s Blade Runner movie and the one that came out 35 years ago. But one of those links was a major shock and took a lot of work to pull off. If you’ve seen Blade Runner 2049, then you’ve witnessed the surprising cameo of Rachael, the Replicant played by Sean Young in the original 1982 film. The recreation is so perfect that we’ve been wondering how it was done since the movie first came out. This character is, of course, a CGI creation and a gallery on Entertainment Weekly details how neo-Rachel came to life. The entire process of creating 2049 Rachael took a whole year and was led by visual effects supervisor John Nelson. Effects studio MPC were the folks who did the heavy lifting. It’s not an easy thing to recreate a person with CGI, as Rogue One showed last year, with its Tarkin and Leia. You can see the difference between Peta and Young’s facial structures in the image, which all of a sudden make it seem like the Blade Runner universe could be a great setting for a horror film. More pictures from the process are up at EW.